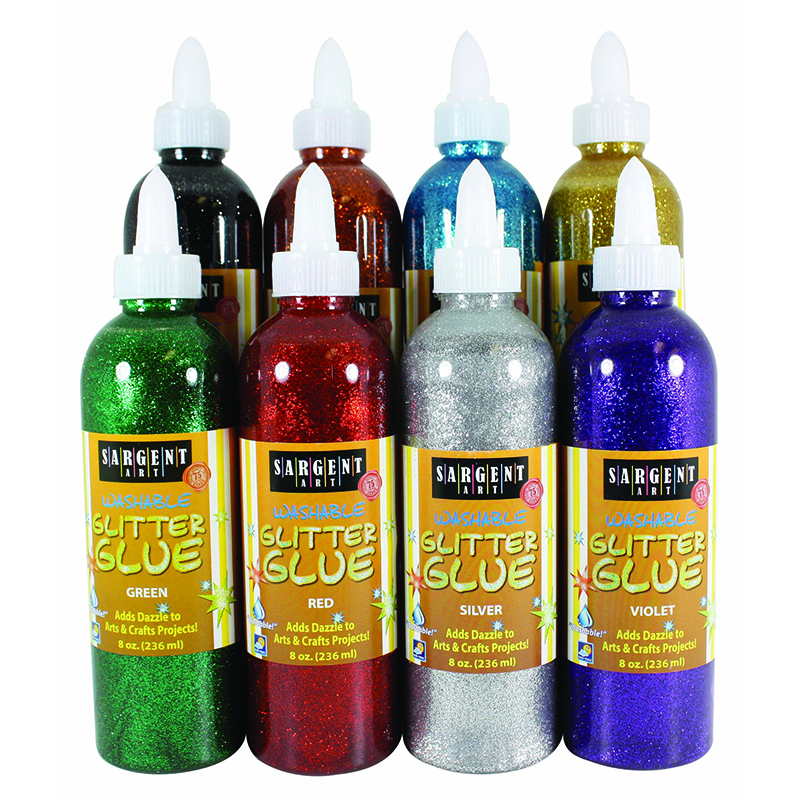 The Metallic Glitter Glue 8pkassortment can be found in our Glitter product category within the Arts & Crafts. 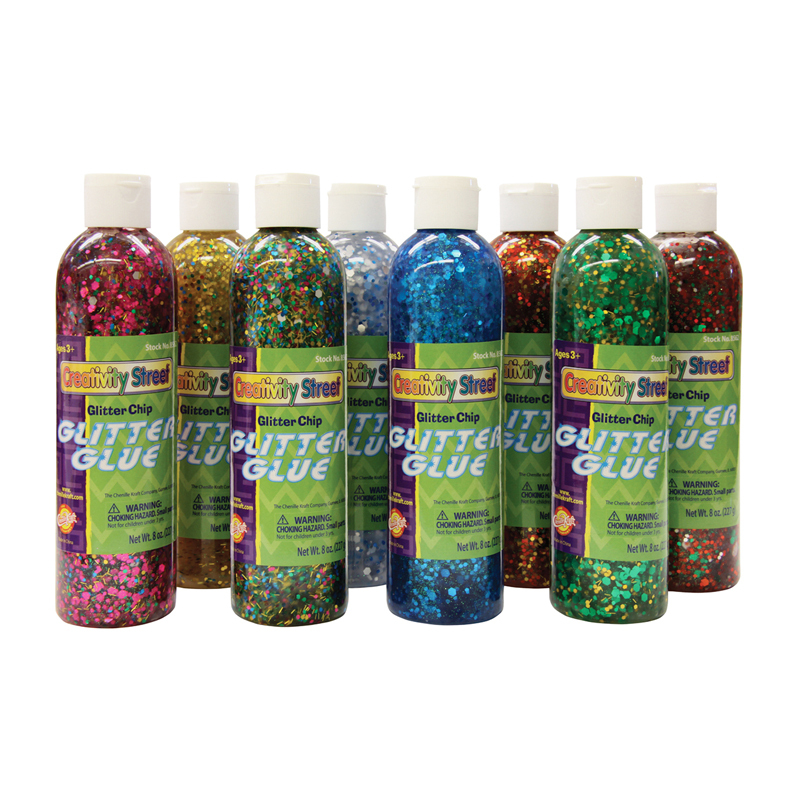 Metallic Colors Glitter glue super pack - 8oz. 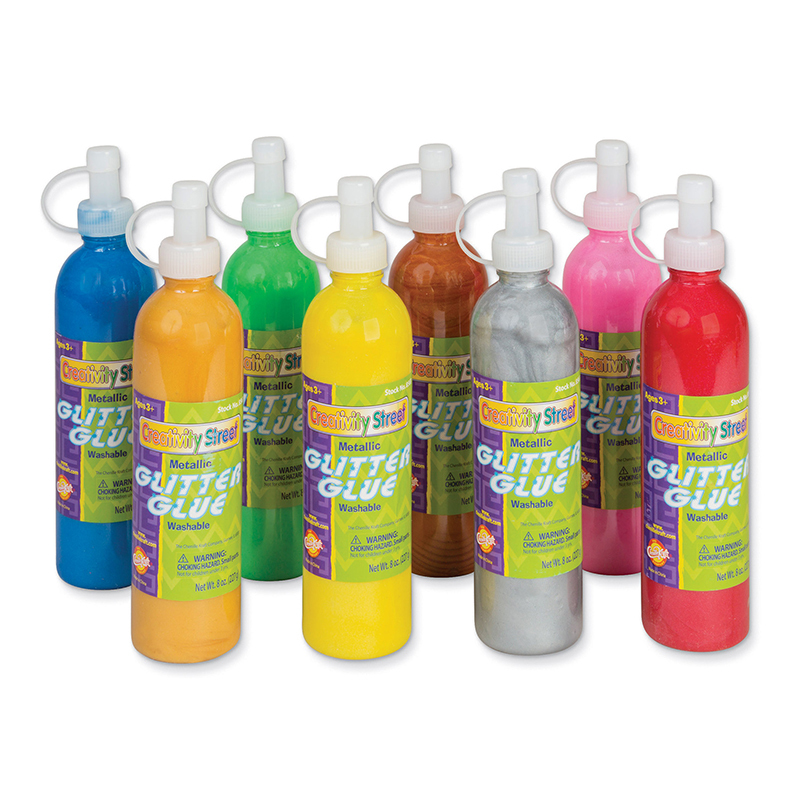 Squeeze bottles of metallic glitter glue in 8 assorted colors, Yellow, silver, Green, Gold, Pink, Orange, Red, and Blue. 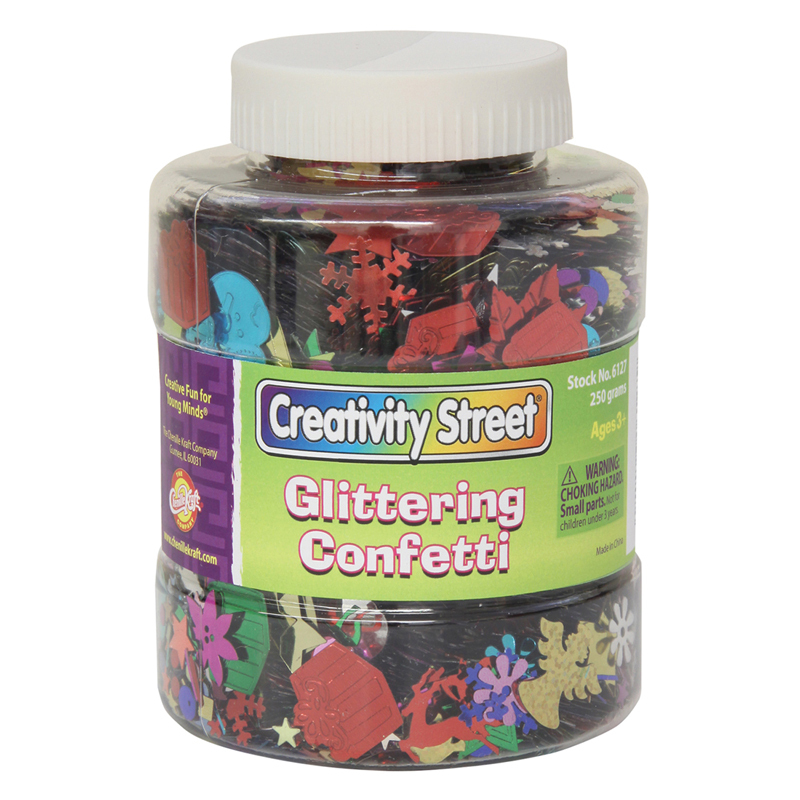 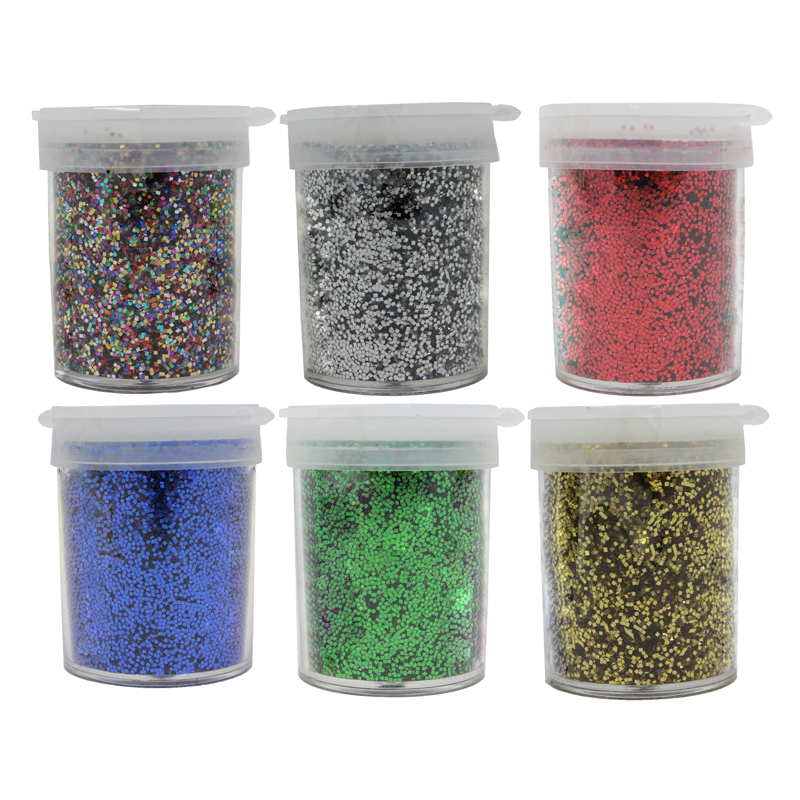 Each Spectra Flitter Assortment contains 6 jars of 3/4 ounce glitter. 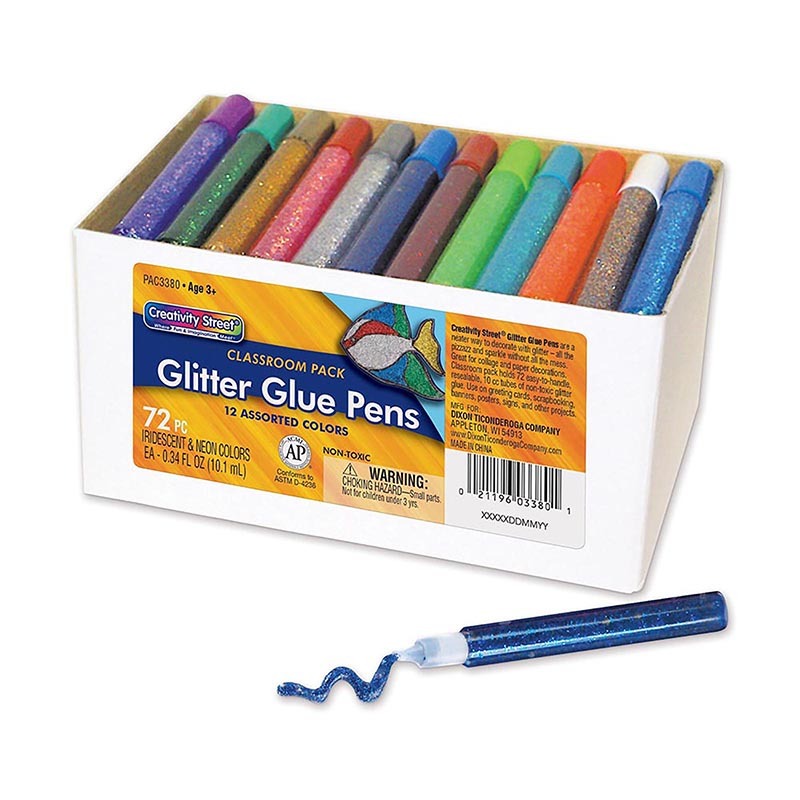 Includes 1 each of multi, red, green, blue, silver and gold in white carton.